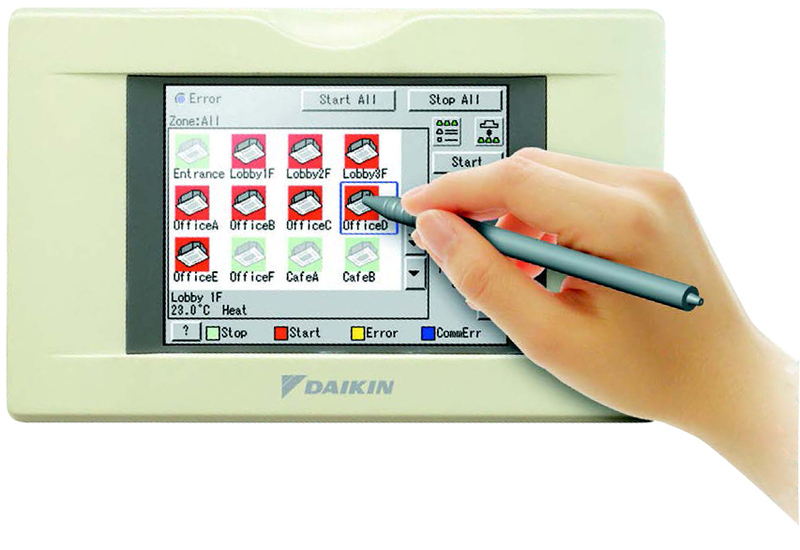 With it’s advanced touch screen interface and user friendly icon based navigation, Daikin’s Intelligent Touch Controller gives you complete control of your VRV air-conditioning system and other interfaced building equipment from a stylish, easy to use and discreet control interface. Intelligent Touch Controller lets you control up to 64 indoor unit groups out of the box, or 128 with an optional adapter. 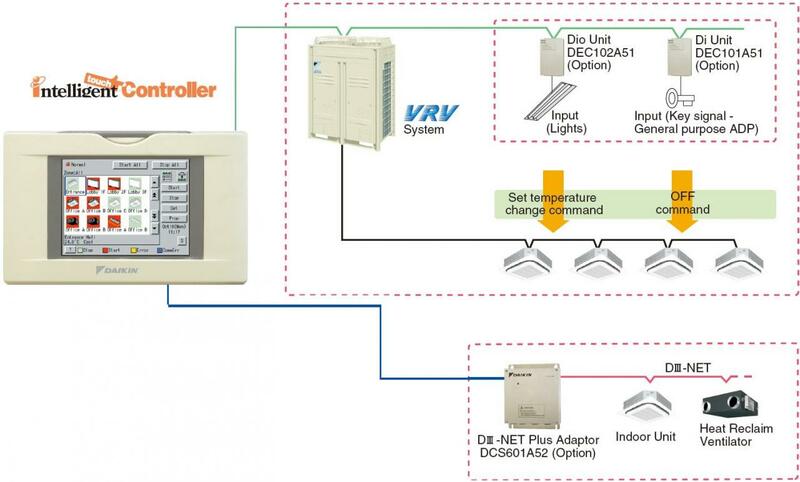 Download the latest VRV IV Product Brochure for more information on the iTouch Controller.